DPM 2012 provides disk-based and tape-based data protection and recovery for servers and desktops. DPM can also centrally manage system state and Bare Metal Recovery. 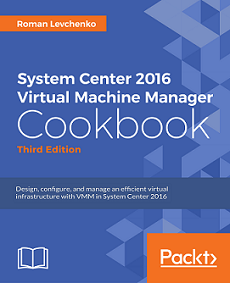 Now DPM available only in the System Center Package (Standard or Datacenter) with other great and very powerful products such as VMM, SCOM and others. You can download evaluation versions using this link . Using Server Manager, you can add NETFX3 feature to Server 2012, but it does not work. 1. Choose “Run the prerequisite Checker” and check again all requirements. It’s very important step! 8. On this stage you can change default path to installation. I agree with default paths and click “Next” again. How to upgrade DPM 2012 to DPM 2012 SP1? How to fix “Replica is inconsistent” in DPM during backing up SQL 2012 DBs?